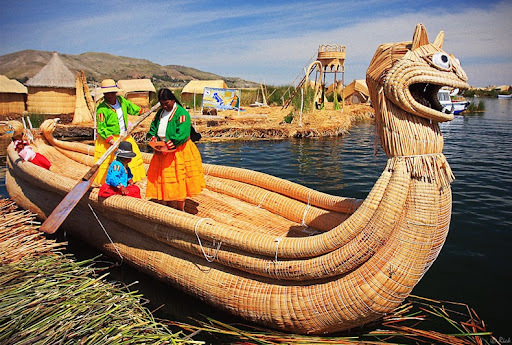 The lives of the Aymara or Uros Indians who live at 4.000 m above sea level revolve around the totora reeds, wich provides them with land, homes, transportation and food. 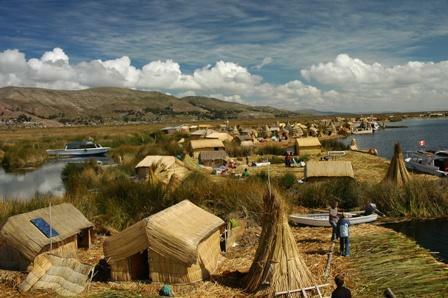 In the shallow areas of the lake they mound reed and earth on top of existing reeds to form inmense floating islands. The roots of the reeds keeps the islands from drafting. 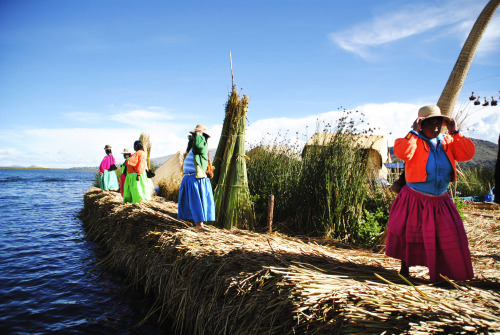 the natives navigate the lakes on canoes made from tapered boundles of reeds that are bound toguether with grass ropes and the reeds serve as walls and floors as well. Publicado por ekuazion en 3:06:00 a. m.